This one of a kind home rest on a corner lot with amazing curb appeal that's well manicured! 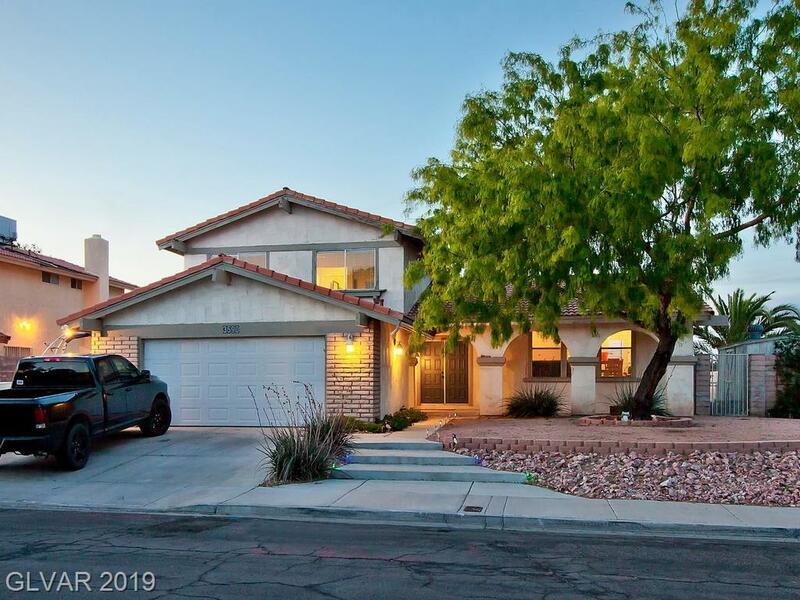 Recently remodeled with a separate living/family room & dazzling kitchen that offers custom white cabinets, quartz counter tops & wall to wall designer backsplash. New flooring including travertine stone in the family room with no carpet in this house! Enjoy your large oasis with a sparkling blue pool, covered patio, deck & balcony. This is a must see!!! Middle School: Woodbury C. W.